Dogus Media Group Secures Future Viability Through VPMS From Arvato Systems | Arvato Systems | IT Strategy. Solutions. Innovation. Gütersloh, Germany, June 6, 2017	(Newswire.com) - With the media asset management system VPMS from Arvato Systems, the Dogus Media Group, a Turkish media company headquartered in Istanbul, is taking a decisive step forward in its evolution. Together with the Turkish systems integrator, Baran, Arvato Systems successfully installed and integrated the new MAM system into the company's existing infrastructure. With this installation, VPMS now provides the necessary flexibility to enable Dogus Media to continually adapt its systems development to work with global standards and technological advances. Dogus Media Group is part of the Dogus Media Concern, which operates seven TV channels, several radio stations, magazines and various internet channels. To date, Dogus Media has been working primarily with proprietary systems that now no longer meet the company's requirements for an efficient and modern MAM solution. This has meant, on the one hand, that further development of the system and the integration of new technologies was becoming increasingly more difficult. And on the other, the media group has also been increasing its own demands on itself to meet worldwide technological standards and thus to become a technological pioneer in Turkey. "We wanted a flexible MAM system that we could easily connect to third party systems," says Barış Özbey, CTO of Dogus Media. "This ability to connect to modern technologies will ensure our future sustainability." With VPMS, Arvato Systems is providing Dogus Media with a solution that can be integrated into the existing company infrastructure while supporting and optimizing its internal working processes. The MAM system also provides users with a transparent overview of existing video material. 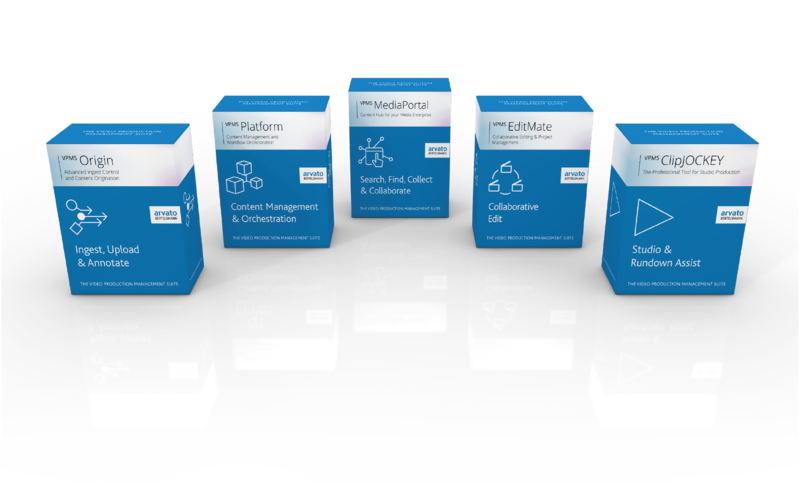 And by using EditMate, a collaborative editing solution from Arvato Systems, Dogus Media has secured a powerful tool that can be directly connected to VPMS. The interface between the planning system OpenMedia from ANNOVA Systems and the production software ClipJOCKEY by Arvato Systems, which is already used by many customers, completes the system and flexibly covers Dogus Media's studio production processes. "VPMS is a particularly powerful solution, because not only can you conveniently edit and manage video and audio files at any time, users can also send material in different formats, run reports on processes, and more efficiently use the company's storage system. Plus, cloud systems can now also be integrated into the infrastructure," says Özbey. Working together with Baran, Arvato Systems carried out the project in three phases within a single 12-month period. This covered everything from consulting and project design to developing and implementing the final system. The working relationship between Arvato Systems and Baran proved to be extremely successful. "In working with Baran, the emphasis was less on structured procedures and more on the social interaction side of things," says Oliver Strotmeier, Project Lead at Arvato Systems. "The project was distinguished by very close partner and customer interaction and a good round of meetings, all of which enabled us to fulfill the customer's wishes." Dirk Steinmeyer, Director of Sales Broadcast Solutions at Arvato Systems, added: "Together with Baran, our team quickly developed a completely new and very flexible way of working to produce the different program contents for Dogus Media. The various internal measures for standardizing the VPMS system — that is, for the specifications, development and implementation — proved to be very successful." It is expected that this successful cooperation will continue, because Dogus Media has further plans: They have also set their sights on digitizing their video archive and making system access for authorized users easier. And with that, the next step for the company's future has already been planned.